« Darth Vader – The T-Shirt! You and me, me and you, lots and lots, for us to do. You and Me was a educational BBC kids show that spanned 20 years of television, first airing in 1974 and ending in 1994. It was a show for pre-school children that aimed to teach kids about the world around them including such topics as right and wrong, acceptance of others, sharing, basically the kinds of things that all well brought up children should be well versed in. The format for You and Me changed a lot over the years, ranging from documentary style films about young children doing things (something like the little film sections shown on Teletubbies) to shows involving puppets and humans interacting. The earliest incarnation I remember mixed short films with stop frame animated puppets Hamster and Crow (hence the picture!). Hamster was a little shy and mild, whilst Crow was a bit more outgoing. I’ll always remember them starting each episode by taking it in turns to say hello to boys and girls, mums and dads, doctors and nurses, oh, and you! And me! Crow would say the “and you!” bit and spread his wings wide, hiding Hamster, who would then pull his wing out of the way and say in a tiny voice “And me!”. They would then discuss some issue before showing a small film, and then discussing it afterwards. The next version I recall was one with a male presenter (no idea who) and a dragon puppet called Snap. I seem to recall an artists easel being involved somewhere too, so perhaps the presenter drew pictures or something to illustrate whatever subject was being taught. Snap was a big green dragon with wings and a really smooth sounding voice (I imagine he would have been quite the crooner). He also had a huge set of bright white teeth, which is where he got his name from, as he would sometimes bring his jaws together really quickly to make a loud snapping noise. The final version I want to talk about (although given my age perhaps I shouldn’t as I would have been well out of the target age group by then) was the Cosmo and Dibbs era. They were strange spongy Muppet like puppets who had a market stall, vaguely human, but given that they existed with other real human presenters it’s not certain what they were actually supposed to be. I believe Cosmo was female and had a really think Geordie accent (yeah, ah naw Dibbs) whilst Dibbs was more of a Londoner and supposedly a male. Eighties TV celebrity Gary Wilmot was one of the many human presenters who would come along and teach Cosmo and Dibbs about something, and sort out their squabbling when they didn’t agree. This entry is filed under TV - Kids	and was posted on November 8th, 2007. You can follow any responses to this entry through the RSS 2.0 feed. You can leave a response, or trackback from your own site. Thanks for that Marc, what a shame it cuts off just before Cosmo and Dibbs appear, although I think that was Gary Wilmot on the other market stall. Interesting fact! The theme music for this era of You and Me was done by UB40. THANK YOU! I only had really vague memories of characters known as cos and dibbs, and none of my friends could remember the show, or the characters i was talking about, and automatically assumed i’d fabricated the entire thing, Now i have proof to the contrary. It only took, what, four years, hah! Anyway, cheers! Pleased to have been of assistance jonas! Wow. I remember watching this and the crow picture was enough to bring it back! Now, I have been browsing your pages after being led here by a very long and laborious, and fruitless(!) google search for a show I really want to find out ANY information about. As you will see, due to the title it is pretty much impossible to find. The show was called ‘Watch’ and I can remember the theme tune like it was yesterday. We used to have to watch it at primary school! It was one of those education programmes and I imagine it was BBC but even on that I am not sure. I remember the intro..
As the program started you would hear a theme tune with flute type instruments doing a sort of jig type tune…whilst this was happening, on screen would be different materials being shaped and moving all around the screen morphing into different places until they ended up spelling out the word ‘Watch’ just as the tune came to a stop and then the voice-over would say it at the same time ‘Watch’. Hehe. Then the stuff on screen…it would range from plasticine to leaves to pasta…you get the idea..all moving in circles or all over the screen..all done by stop motion I’m sure, with this silly tune and the voice saying Watch, every time there was a pause in the tune. Then the show would start and that’s where I get vague!! I’m pretty sure it was a bit of everything kind of a show. It had a couple or more adult presenters and they would be teaching you basic science and things like interesting things to spot in nature, animals nesting, machinery, all sorts of wonderful things to ‘watch’! Has anyone else on the planet heard of this? Did I make it up? I KNOW I didn’t but I’m starting to wonder if anyone remembers it at all. Do you know if there’s a way or a department in the BBC where I might get in touch to ask about it? Thank you for a wonderful site. I am loving just looking through your posts here and remembering all these shows. It’s great. Let me know if you remembered this show. Hi Geaf. I certainly do remember Watch, and you’re right, there doesn’t seem to be very much about it on the ‘net. It used to be on early in the afternoon on BBC2 if I remember correctly. Like you I vividly remember the theme song (I could hum it for you) and the title sequence was just as you describe, lots of plasticene and shapes and things flying around in patterns and form ing the letters of the title. I’m also vague on what the show actually was about though, but I think your guess of it being science and nature topics sounds about right. By the way, glad you’ve been enjoying the site! We aim to please! Hello again. Great!! I didn’t imagine it hehe. I knew that but I have asked so many people and no one has remembered it. So you have made my day. I realise that I probably will never see it again…sad. Yeah that theme tune, I could hum it too. This site really is great, so glad I found it. Funny how memories become more imaginative than the original… the animation at the start really was ONLY plasticine, I somehow thought it had other things. Watch was a different educational show, shown at my infant and junior schools. It had a presenter who reminded me of Jeoffry from Rainbow. There WERE versions of the credits with pasta. It depends which series. 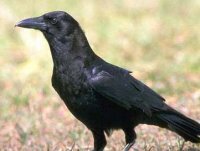 The characters of the hamster and the raven on You and Me were called Crow and Alice. You are so right Ruth. I knew Crow was definitely called Crow, but I had forgotten that the hamster was called Alice until now. Thanks for the correction. I don’t remember the tv show – but i *do* remember a regular magazine/book series that my mum bought for me! It must have come out every couple of weeks. I had a binder for them all, and it would have come with cassettes of recorded stories too. I’ve always been convinced it was ‘You and Me’ but the stars were two hamsters (I think) called Horrace (or Moris) and Doris. Occasioinally with other characters – their friend Dig, I think, was a robot (Tin Man style, anyway) gardener. Am I mixing up a reading book series with this TV show?! I have a picture of crow and Alice from you tube but can’t post it ???? Sorry, you won’t be able to post images in the comments, but I’d love to see the image and perhaps add it to the post itself, if you are willing. 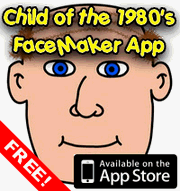 If so, please email it to me directly at bigboo@childofthe1980s.com and I’ll add it to this page. Does anyone remember the story of a little girl in search of her friend. She was told that soldiers had taken him to a land of patchwork And the Patchwork Queen has him in her castle. She travels there and meets the patchwork queen.